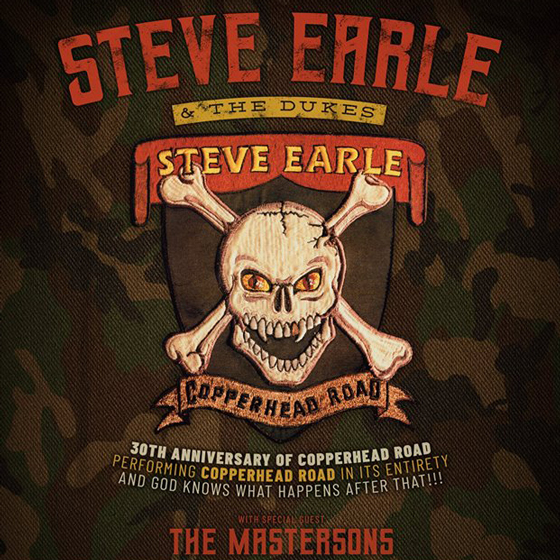 This year marks the 30th anniversary of Steve Earle's Copperhead Road, and ahead of kicking off a lengthy run of tour dates in the United States to celebrate the occasion, the singer-songwriter has also mapped out a trek through Canada. Earle will be accompanied by the Dukes for an 11-date run of Canada in September. The Mastersons will provide support on all dates. The Canadian leg will kick off in Toronto on September 5 at the Phoenix Concert Theatre, giving way to stops in Hamilton, London, Fredericton, St. John's, Montreal, Winnipeg, Enoch, Calgary and Vancouver. Tickets for all Canadian shows go on sale May 18 at 10 a.m. local time. Find a complete tour itinerary below. Steve Earle Says Noel Gallagher Is the "Most Overrated Songwriter in the Whole History of Pop Music"
Steve Earle "Better Off Alone"